A fine example of Max Mara’s premium Italian craftsmanship, the Malizia dress is cut from wool with a touch of stretch for gently fluid movement. 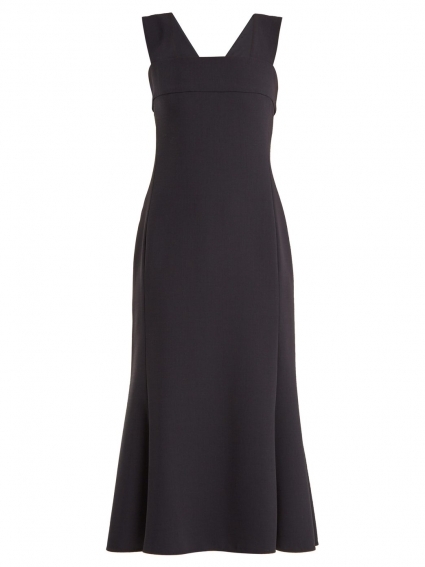 It's shaped for a relaxed fit with wide shoulder straps which slope to meet at the back zip, and panelled construction to create a slender bodice which flows to the midi fishtail skirt. Style it with streamlined flats as part of a poised weekday edit.